Each pedal is hand-made by Richard at his workshop in the Netherlands and sold through our shop. With each Shruti Box and pedal purchased together, we pre-install the wooden cable-holders for left or right foot playing depending on your preference. This ensures you get the optimum performance from the pedal, and optimum access to the Shruti Box keyboard. Folded the foot pedal measures 22cm x 9cm x 3cm and weighs 600g. The M3 Shruti Box was developed to work seamlessly with the with the Bowring pedal. The result, a larger instrument than our standard M1 and M2, with enhanced air capacity and wooden swivel feet fitted as standard. The feet offer excellent stability and the rubberised bumperstop toes offer good grip and sound insulation between instrument and surface. The M3 is a delight to play by hand or foot, offering long sustain, a smooth action when pedalling and fine control of volume – from quiet to loud. 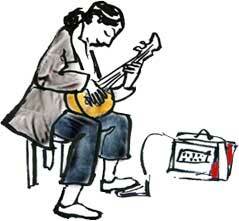 The Bowring foot pedal will also work with our other Shruti Box models. 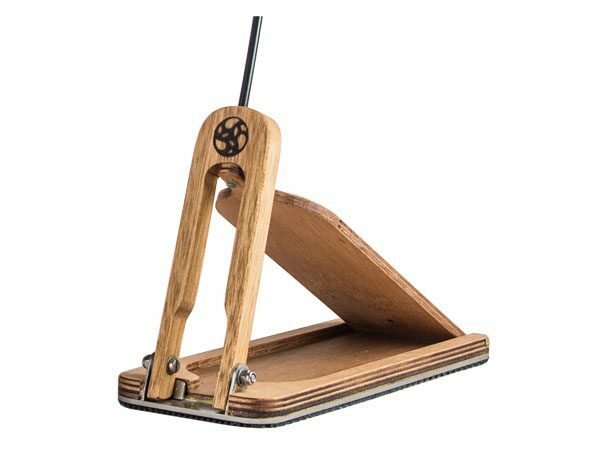 For customers purchasing a pedal to go with either our M1 or M2, or a different make of Shruti Box, we also include one pair of wooden stabiliser feet for DIY retro-fitting. 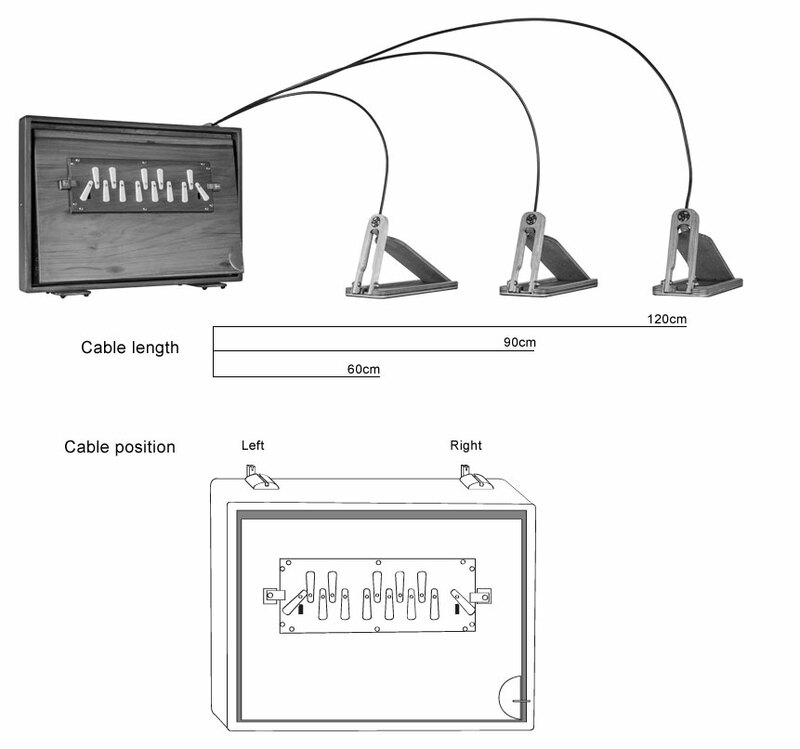 Bowring pedals are available in a choice of three different cable sizes. Each size is designed to optimise keyboard access from either a seated or standing playing position.